Baby Mindful is back, in the awe-inspiring beauty of our Octagon Room. Choose from the option of a 4 or 8 week course where you’ll spend quiet, quality time learning Mindfulness techniques from a qualified practitioner. Especially tailored to new or expecting parents and their bumps or babies (pre-crawling) this course will enhance bonding between you and your baby, promote calm and offer the opportunity to meet other local parents. ETNA Bridge Club is now recruiting new members to join friendly bridge group. We meet every Thursday from 1.00pm to 3.30pm and it costs £8 per month. Richmond’s readers are encouraged to celebrate our much-loved libraries by attending one of the events being held for Libraries Week (8-13 October). As part of the week’s programme of events, and to celebrate Black History Month, Teddington Library will host a talk with family historian, Paul Crooks. On Tuesday 9th October from 7.00pm to 8.30pm, Paul will chat about tracing his own roots to the backdrop of the British Government’s abolition of slavery in the 19th century. 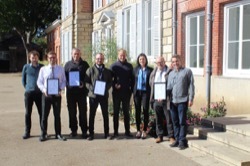 The borough’s green spaces came away from this week’s ‘London in Bloom’ Awards with four Gold, two Silver Gilt, and one Silver Award. ‘London in Bloom’ celebrates Councils, communities, residents, and businesses working together to improve the environment of London and make a greener, cleaner place in which to live, work and visit. 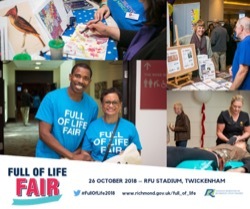 Twickenham RFU Stadium is set to be full of fun, full of dancing, full of information and full of life, as the annual Full of Life Fair returns to town on Friday 26 October. 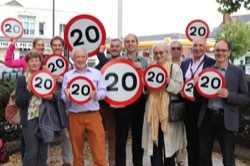 Residents are now able to have their say on plans to introduce a borough-wide 20MPH speed limit in Richmond upon Thames. Anyone who has gone wandering up the River Crane in wellies knows that there is often more than hungry ducks and plastic bottles coming down on the tide. 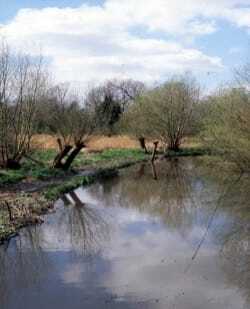 After centuries of carving its way through Tudor middens, Georgian gunpowder mills, Victorian rubbish dumps and wartime back gardens the Crane can offer many surprises to the keen-eyed mudlark. 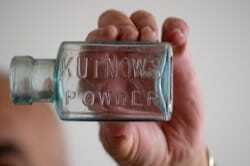 from porcelain pot tops and tin hats to cast iron pokers and earthenware bottles saying ‘Richmond Bottling’. 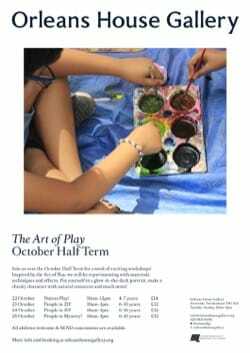 Join us over the October Half Term where we will be taking inspiration from The Big Draw and exploring the art of play! Take part in our Playful Portraits Project consisting of three fun workshops; People in 2D!, People in 3D! and People in Mystery!, where children will explore a range of techniques to capture characteristics and features of real and imaginary characters. An enhanced, interactive nature trail will be laid on Crane Park Island Nature Reserve following a £4,228 grant from the Council’s Community Fund. London Wildlife Trust is working to improve the island’s nature trail by installing numbered oak posts which link to an information map. The posts will have interactive tactile panels which children can use to make rubbings from which will tell them about the history and wildlife of the area. Pupils attending primary school in Richmond upon Thames have topped the national league tables yet again following publication of the provisional 2018 Key Stage 2 (SATs) results last week. These results mean the borough has also scored the highest in London in nearly all areas with 87% of pupils achieving the expected standard in reading, 87% in writing, 88% in mathematics, whilst 80% did so in reading, writing and mathematics combined, all considerably above the national averages.